His followers and supporters liken the 26-year old war victim to Che Guevara and Bacha Khan as he has provided a platform for the disenfranchised, downtrodden and marginalized communities and nations across Pakistan. Manzoor Pashteen is humble, soft-spoken and non-violent. He is not speaking for the Pashtuns across the Durand Line, but his comrades in Afghanistan are coming on the streets to show solidarity with their tribal brother. The elitist military establishment considers this unity as a direct threat to their monopoly of the War Machines in Afghanistan and Pakistan. Manzoor Pashteen founded his movement in 2016 in South Waziristan and initially demanded clearing of thousands of landmines laid out by the Pakistan Army and the Taliban to fight each other. The fighting has now subsided, but the deadly mines are killing and maiming innocent civilians daily. Over time, the movement expanded to include the prosecution of Rao Anwar for the murder of Naqeebullah Mehsud, the formation of an inquiry into extrajudicial killings of Pashtuns in Karachi and elsewhere, an end to collective punishment and discrimination against locals in Federally Administered Tribal Areas (FATA), removal of landmines from South Waziristan, and recovery of missing persons. Very little has been done to address the Pashtun grievances. After hiding for more than two months, Rao Anwar has finally been caught and brought before a court to face criminal charges that include killing Mehsud in an extra-judicial manner. In the past, lack of accountability has emboldened security officials to take the law into their hands and kill innocents without due process. Rao Anwar is expected to receive a slap on his wrist for killing more than 400 people. At the other end of the spectrum, the War Machines have been unleashed on the young leader. An organized media campaign is out there to discredit Pashteen by creating doubts about his intentions and his non-violent Pashtun Tahafuz Movement (PTM; Pashtun Protection Movement). Following the footsteps of the international media coverage of PTM, Pakistani mainstream media has finally taking note of the country-wide protests and they are speaking to Manzoor Pashteen. While interviewing Pashteen, veteran journalists often forget that they are quizzing a young victim of Pakistan’s misplaced priorities in FATA on the complex issue of FATA merger with adjoining Khyber Pakhtunkhwa. A conscious effort is being made to conflate the issues of FATA merger, and Durand Line with the larger Pashtun Movement which has now spread to Balochistan as well. Criminal cases have been registered against Pashteen and his fellow protesters to deter them from speaking up against the Army brutalities in Swat, Waziristan and Balochistan. Radical Mullahs have pledged allegiance to ISIS and they roam free. More recently, Khadim Rizvi, an extremist Mullah, held a sit-in protest in the capital Islamabad and all the demands of the Islamist protesters were accepted, including the one where Mullahs will sit on curriculum boards. The few remaining progressive and liberal forces in the country were outraged and dismayed, but there is little they can do. Under pressure from the military establishment, the traditional Pashtun nationalist political parties have started to distance themselves from the Pashteen Movement. In the current atmosphere, no one is ready to draw the ire of the powerful military bosses in Rawalpindi. 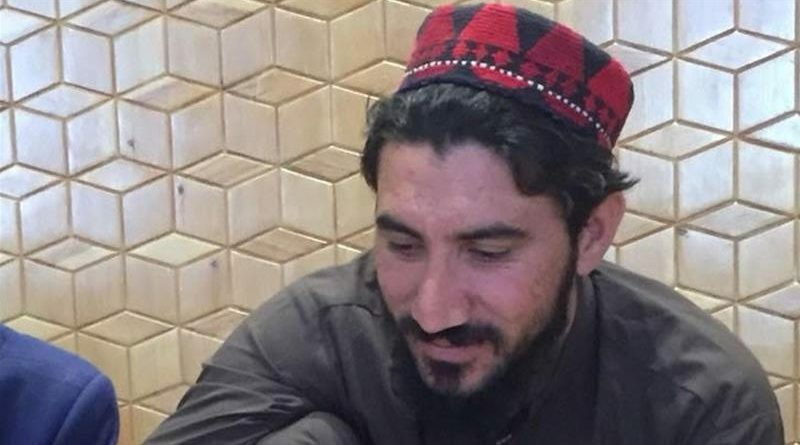 Manzoor Pashteen told Qatar-based Al-Jazeera network “My father, wife and mother expect every day to hear the news of my death or disappearance. They are worried for me and sometimes, angry at me.” Pashteen wants a better future for Pashtuns in Pakistan “including his one-month-old daughter”. “But I know deep down, beneath all the worry, they are proud of me because this is not about me, it is about making this country a better place for us to live in,” he further said. Meanwhile, Amnesty International urged Pakistan to resolve hundreds of cases of enforced disappearances. Its Human Rights Council met on March 19 and adopted the Universal Periodic Review outcome on Pakistan saying, “No one has ever been held accountable for an enforced disappearance in Pakistan”. 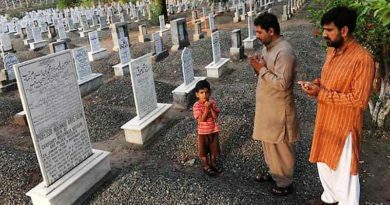 The Amnesty International Human Rights Council issued a scathing criticism of Pakistani authorities and noted, “The UN Working Group on Enforced or Involuntary Disappearances has more than 700 pending cases from Pakistan, and Pakistan’s State Commission of Inquiry on Enforced Disappearances has received reports of hundreds more, from across the country. Victims include bloggers, journalists, students, peace activists and other human rights defenders whose work promotes the same values as this Council and is crucial to a free and just society”. Pakistan has a knack for killing its sane, bright and popular leaders; the list runs long from ZA Bhutto to his daughter Benazir Bhutto and from Bashir Bilour to Mashal Khan. The latest victim in the series was the young aspiring fashion model Naqeebullah Mehsud, whose death has sparked an outrage, the parallels of which have not been seen in recent history. Ironically, the country thrives on brain drain and rewards mediocrity. By the same token, Manzoor Pashteen may end up having the same fate. Putting him on a pedestal would be tantamount to presenting him as a trophy to a sniper or a Madrassa-trained suicide bomber or may end up as another number on the growing list of the missing persons. Manzoor Pashteen is a genuine voice for peace and his demands are constitutional; suppressing him and his movement would result in more chaos in the region. In principle, the US should lend support to him but that would irk the Pakistani establishment even further and therefore I don’t see any support coming from the US in the near future. US also has an express policy not to support any internal groups in a country and that is another hurdle for US policy makers even if they are sympathetic to the Pashtun cause. The best-case scenario is that some Congress members may speak out in support of Pashteen in their individual capacity just like they speak out for the Baloch cause. In any case, it is worth exploring for the US policy makers to weigh in on the Pashtun grievances. Peace in Afghanistan is ultimately related to peace in FATA, the sooner Pakistani and US authorities realize this, the better.